AGM technology (absorbent glass mat) batteries are able to fulfill even higher demands required by modern vehicles. Contrary to batteries with free liquid electrolyte, the sulphuric acid in AGM batteries is bound by glass mats, which is used instead of the separators to fill the space between positive and negative plates. Bosch marine batteries are carefully engineered to provide the optimum balance between starting and deep cycling duties. They are also thoroughly insulated to protect against the high frequency vibrations created by rough sea conditions. 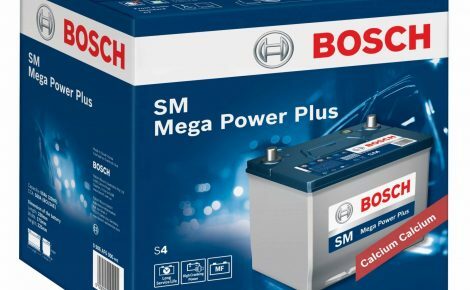 Bosch batteries are specifically designed for a range of marine applications that require frequent charge and discharge cycles, in order to perform under extreme conditions. The SM Mega Power Plus is developed to exceed the demands of the growing medium-sized vehicle sector and the prevalence of advanced equipment it has introduced. With DVD players, parking distance control, lane-changing warnings and active suspension systems making their way into the medium vehicle market, the SM Mega Power Plus reinforced outputs have them covered. 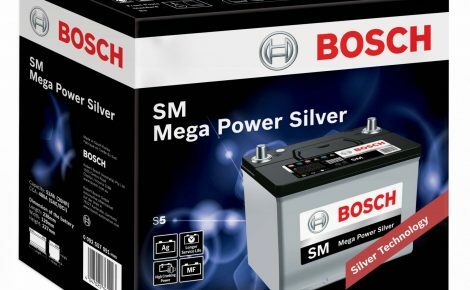 For Bosch, every battery is a technological milestone. In 1922, Bosch made its mark in battery production. From manufacturing batteries for passenger vehicles to off-highway applications, Bosch continuously revolutionizes its line of products for the automotive industry across the globe. 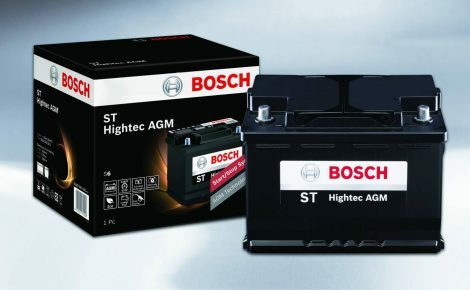 By creating new solutions such as Bosch Hightec AGM Battery for Start-Stop Technology, the company addresses the needs of the ever-changing market. Whether it’s about powering your premium car, you can always expect technology breakthroughs from Bosch. As one of the world’s largest independent manufacturers of automotive parts and systems, Bosch products and technology, supplied through a global network of factories, can be found on virtually every make of car currently produced throughout the world. This strong link to original equipment development and innovation means Bosch is able to deliver a superior aftermarket offering to its customers.